Loosen but don’t remove the axle bolt. 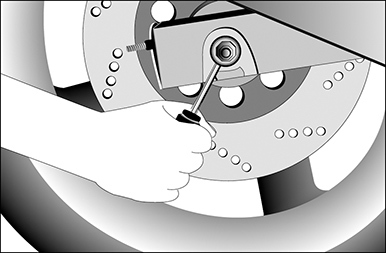 Make certain to adjust the bolts on each side of the wheel the exact same amount. 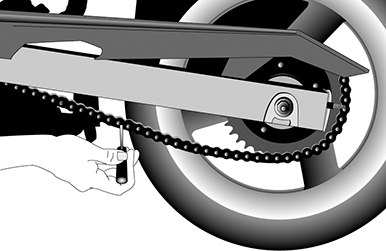 Don’t over-tighten the chain. With tremors declining in magnitude and emergency relief crews packing to leave, Nepal is likely to slip from the world’s attention. But the unstable geological condition that brought the latest disaster still lurks. Unless the government seizes this moment, Nepal will face new calamities. The human tragedy in Nepal costing more than 8,000 lives is a warning to countries in the Himalayan region nestled on the moving tectonic plates to transform relief operations into long-term preparations against devastating earthquakes. The devastation from the Nepal earthquake highlights the vulnerability of populations living across the Hindu Kush Himalayan region. Poverty, migration from rural to urban areas and uncontrolled urban development compound the damage and disasters associated with natural hazards like earthquakes in the region. Nepal’s earthquake should not have come as a surprise. A 2001 study ranked Kathmandu first among vulnerable cities that can expect thousands of fatalities in an earthquake. A similar earthquake in 1934 for Nepal as well as those for Afghanistan in 2002, India in 2005 and Pakistan in 2008 were responsible for massive loss of life and property in the region. Geologically, the continuous sinking of the Indian tectonic plate below the Eurasian plate – lifting the relatively young Himalayan Mountains at least 55 million years old – also contributes to earthquakes long warned by researchers. Many regions in the world including Japan, Chile and California frequently experience earthquakes with little impact. These countries have developed the capacity to handle such hazards. Despite warnings from seismologists and technologies available for disaster preparation, there is no guarantee of safety for Himalayan communities in Afghanistan, Bhutan, China, India, Myanmar and Pakistan. Geologically sensitive regionThe Hindu Kush Himalayan region is one of the most geologically and environmentally sensitive regions in the world – the biologically diverse and sensitive landscapes are considered among the world’s most vulnerable regions to climate change. Natural systems are under pressure for a number of reasons: Rapid population growth in the region has led to reduced opportunities in rural areas. The promise of a better life in the cities contributes to rapid migration from rural to urban areas. The urban population of the Himalayas has more than doubled since the 1980s. Kathmandu like many other Himalayan metropolises is now home to more than a million people. Growing demand for housing combined with poor governance has allowed construction of structurally poor buildings in unstable and hazard-prone areas. Zoning and building regulations are often completely disregarded. According to a USAID fact report in Nepal, the 1994 building codes are not well enforced; on average, two engineers are available in a municipality where 400 building permits are issued every year. Cities like Istanbul, Islamabad and Delhi are prone to similar development and vulnerable to earthquakes. According to many vulnerability reports, the chances of surviving an earthquake of magnitude 7 on the Richter scale are much lower in Islamabad as compared to San Francisco or Tokyo. Compared to the Nepal earthquake, Chile experienced an earthquake of magnitude 8.2 in 2014 with a total loss of six lives. A May 30 earthquake in a remote area of Japan, magnitude 7.8, occurred with no loss to life or infrastructure. The Nepal earthquake and the underlying conditions laying the groundwork for disastrous outcomes highlight how poverty, weak governance and uncontrolled urbanization increase human vulnerability. Such systemic conditions drive poor populations to live in hazard-prone regions, often becoming the main victims in disasters, not just in Nepal, but throughout the Himalayan region. A recent study suggests that more than 38 cities in the Indian Himalayas are not prepared for such an earthquake and 60 percent of Indian sub-continental landmass is vulnerable to the northward shift of the tectonic plates. Disaster preparedness, including risk identification, reduction, early warning, and capacity building, has been proven to reduce calamities. However, these long-term measures are often mired in the politics and corruption of development. Rescue and relief operations attract more funding than the steady preparation for events that may not occur. Disaster responses are high-adrenaline events. Response teams are flown in with millions of dollars of aid. Relief and rescue organizations, partly due to lack of capacity of local government, eagerly move forward to provide relief while governments typically play catchup in coordinating the flow of financial and material aid. Often, the short-term response as in the case of Nepal is not well integrated in building a long-term strategy. Further, the long-term response is simply left to local governments with limited financial and technical support. The challenge is to transfer the relief efforts from aid organizations to sustainable long-term development by the local government. Even during the early stages of response, actions can exacerbate entrenched problems or foster vibrant and resilient urban centres. 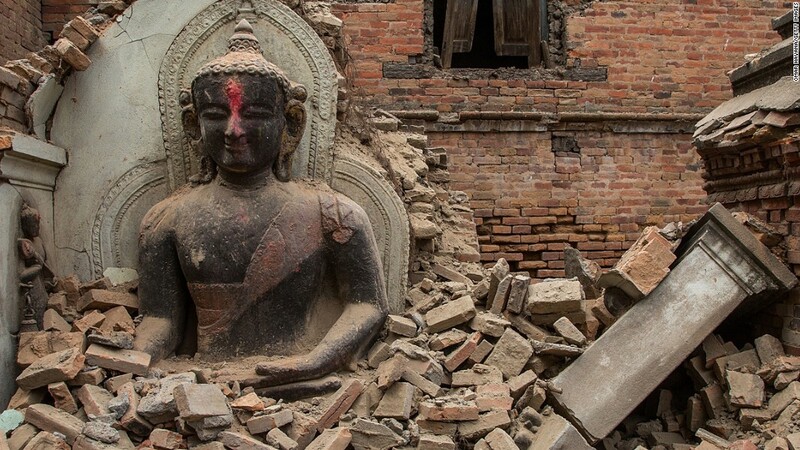 The government of Nepal should coordinate relief work with a long-term vision. The shift from relief to rebuilding must incorporate policies that tackle the systemic reasons contributing to the disaster. The government should seek expertise from countries experienced in minimizing earthquake risks, including Japan and the United States. Experts can identify vulnerable regions and structures and advise on establishing strong zoning and building codes. Nepal’s government must focus relief efforts on the urgent needs of rural areas, going unseen by the mainstream media yet exposed through social media. Lack of untimely response in rural areas can exacerbate human suffering and increase migration over the long term, recreating the cycle of urban vulnerability. International NGOs must ensure that their urgent and immediate relief efforts do not undermine the authority of the local government. Loss of trust in the local administration can create a power vacuum, and the government can struggle to reestablish credibility or engage with local communities for long-term development. For example, in Nepal, the government system is relatively new and fragile. During the relief work, local and international media accused the government of red tape and inefficient relief operations. Relief effortsIn supporting relief efforts, donors should contribute not just to the big NGO’s, but also to small- and medium-sized organisations that have long-term commitment in the region. Identifying local organisations and supporting their outreach are among the best ways to construct a strong supportive network once large organizations readjust priorities. Local organisations like Kathmandu Living Labs, which develop open data, promoting civic technologies like mapping, have showcased their usefulness in relief efforts and should be encouraged to stay committed to the region. The earthquake disaster can revitalize preventive actions and make risk reduction a part of the culture. Hindu Kush Himalayan countries should mobilize their local administrations to systematically assess and identify hazards, including earthquake-prone infrastructure – existing or planned residential buildings, roads, airports, bridges and dams – in this geologically sensitive region. Such assessments could provide opportunities for cross- border collaboration on preparedness. The earthquake has shown new ways of international partnerships. Neighboring countries like India and China led immediate relief and rescue operations while countries like the United States, United Kingdom, Turkey, Israel, Japan and others flew in aid missions. These partnerships could be further strengthened for systematic cross-border preparedness plans that can be put into action anywhere in the region. Building community resilience through active identification and prevention of risks, capacity- building of civil society and local administration, and improved preparedness, relying on available low-cost techniques, are an imperative, not luxury, for these Himalayan countries. Governments, NGOs and donor communities must work together in the Hindu Kush Himalayas for lasting change. Alark Saxena is program director of the Yale Himalaya Initiative and a lecturer at the School of Forestry and Environmental Studies, Yale University. This article was first published on YaleGlobal. Being struck in the office, I quite miss riding the motorcycle and going for a long ride every now and then. In the past, I didn't want to wake up each day and every day for the rest of my life wishing how I have had a bike and not been happy. I have had the most fun part of my life with my motorcycles and with the like-minded buddies. A famous YouTube moto-vlogger by the name of "CycleCruza" once said - "It's better to live it up now while you can and live a good life now and die young, then live to be 100 and have the most lonely, boring life ever!" Who knows ?? May be I could die tomorrow, heck I could die today crossing the road while going for my lunch. But if I do die, at least I will die happy knowing that I did what I love to do most. You understand what I'm getting at here? If you want a bike that bad, then get it! Just because you got in a bad wreck doesn't mean you should never ride again. I know a lot of people that wrecked on a motorcycle. They still ride! Do what you wanna do man! If you have the money for that bike, GO GET IT MAN! Hope I helped and keep the rubber side down.